Where in the world is Heroic Ultraxion? He’ll take you for a ride inside a twi­light realm! Tell me, where in the world is Heroic Ultraxion? 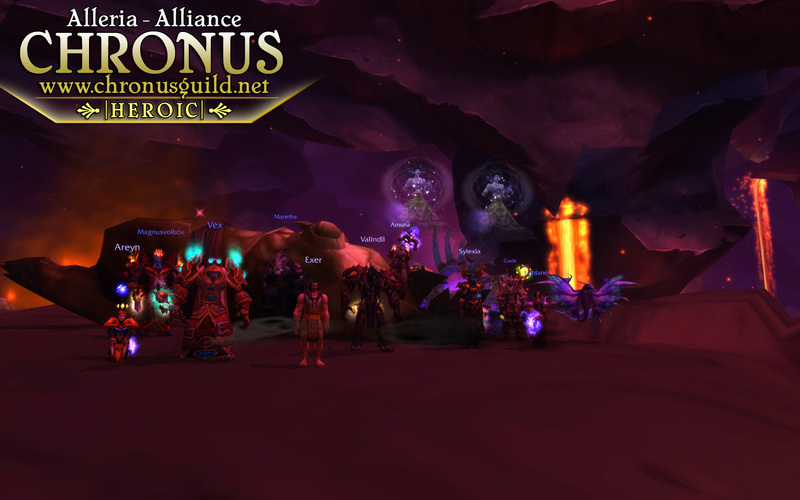 Con­gra­tu­la­tions to Chro­nus on their second Heroic Kill in Dra­gon Soul! 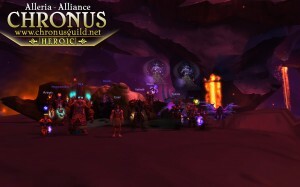 Chro­nus killed heroic Cho­gall. They did a good job. There was cake afterwards.